Egly-Ouriet Brut Tradition Grand Cru - ripe on the palate, with a little acidity and astringent at the same time. Nice and a little flinty. 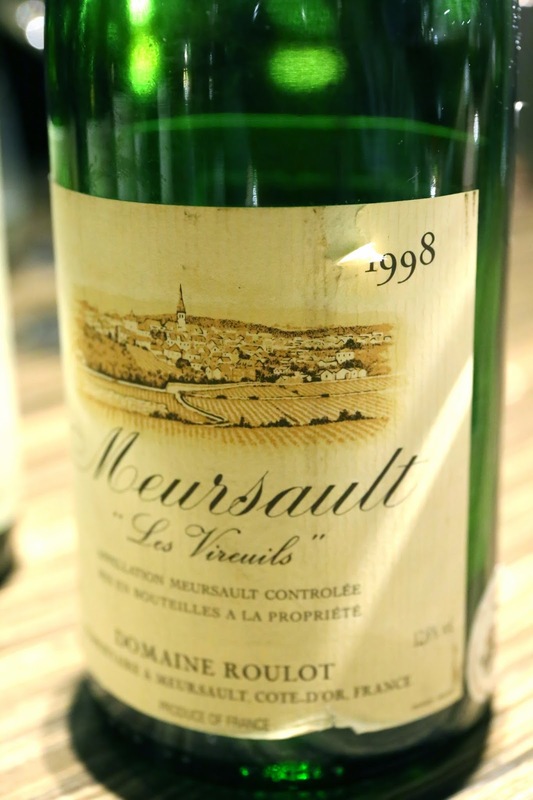 1998 Roulot Meursault Les Vireuils - pretty ripe nose, a little oxidized, sweet and carmaelized. 2011 Alain Voge Saint-Péray Fleur de Crussol - huge nose of toast, which I love. Nice and mineral, but also soft and smooth on the palate. Pretty sweet and ripe, and later on even a little buttery. 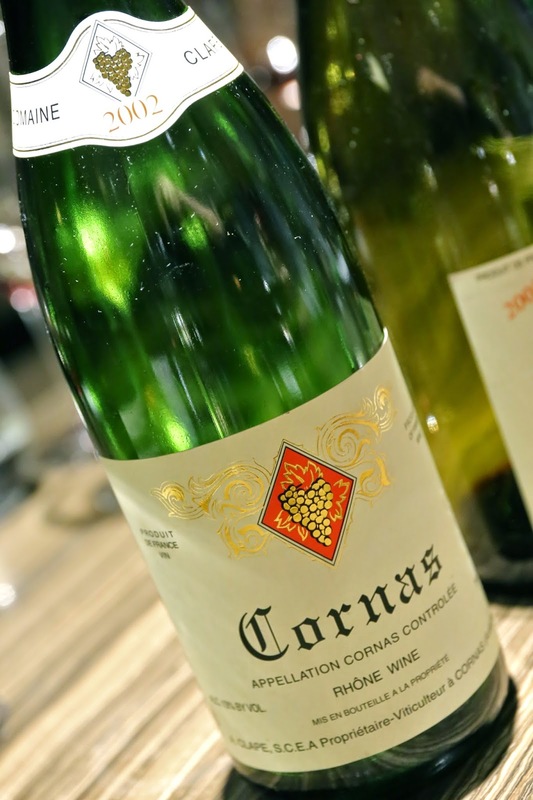 2002 August Clape Cornas - a little sweet fruit, earthy, pretty light and soft on the palate. 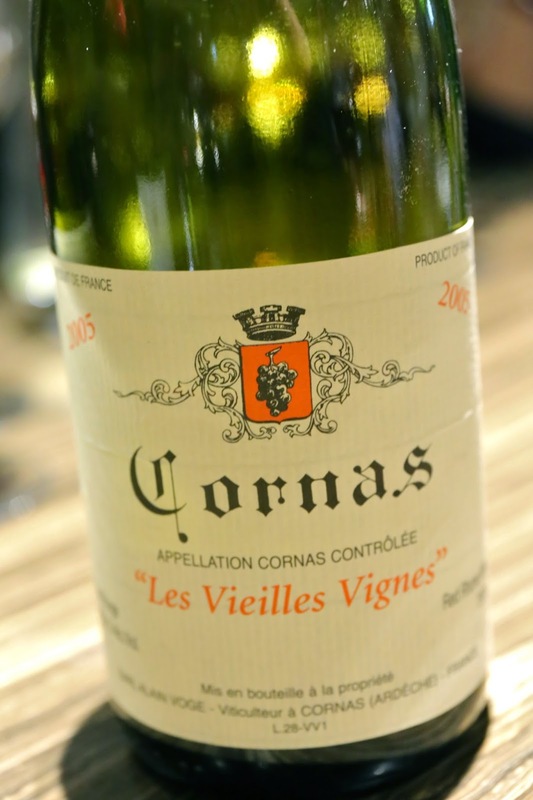 2005 Alain Voge Cornas Les Vieilles Vignes - a little stinky and dirty at first, and still closed. Took a while to open up. 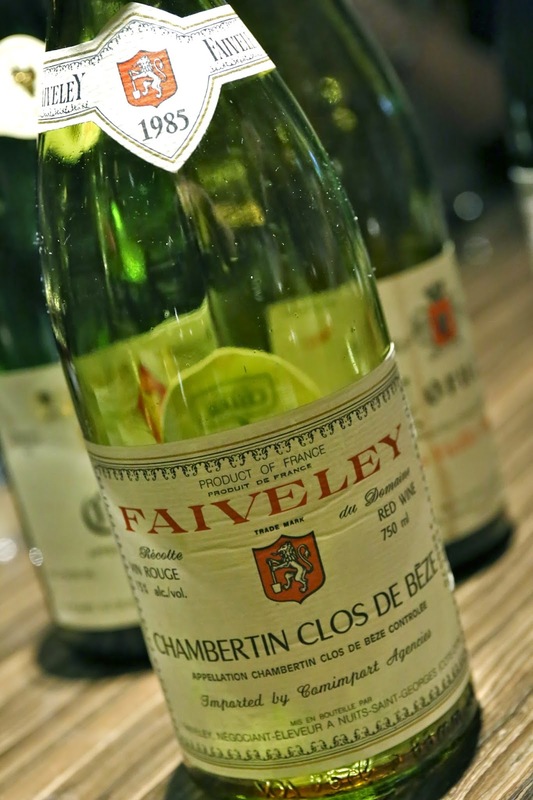 1985 Faiveley Chambertin Clos de Beze - I was so glad that this bottle drank very nicely. Really clean and elegant, floral, fragrant, plenty of sweet fruit like black cherries. Everyone was surprised that this level of quality from Faiveley. 1983 Jaboulet La Chapelle - a little minty and animal.